Finally, the new album is out, the songs are great, but I don't feel the same energy of the album Hook me up, Lisa & Jess are almost 30 years old and they still sound like 22. My favorite songs are: Cold, Did you miss me, You ruin me, More like me, If you love someone, Always & You and me.<br>I also have a twin brother, we fight a lot, but at the end of the day we support each other.<br>Love from Cuba!!!! This is a tough one to score, on 1 hand this has You Ruin Me, their best track in 8 Years then on the other, the rest is completely average except If You Love Someone which is around 3.3, Line Of Fire 3.2 and Cold which is only 3.2 because of the verses but even those 3 are BARELY above average. Everything else is really average and overall is a slightly more disappointing release then Hook Me Up. You Ruin Me pushes it slightly above 3 but you can't expect 1 excellent track to push it to a 4 so it gets 3.3 overall. #Letdown. 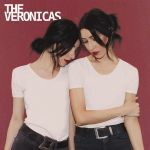 While it's good to have The Veronicas back, it's a shame they had to come out with this. Many of the songs unnecessarily have swear words, which is a huge distraction, and aside from this, the production in parts sounds cheap and tinny. It also sounds like they're holding on to sounds and beats that are outdated. The vocals are nice and are probably a highlight of the album, but all-in-all this is a disappointment for me. 3.5/6.